I know I've mentioned this before, but now there's a poster. And it's coming up soon. I'm playing with William Sides Atari Party, X-Buster, and Bit Mummy. I don't really know anything about how this is going down (like band order or timeframe) other than the 8pm listing, but I am fairly certain it is really happening. Performing this video game music is not as obvious as performing stuff that's created in the first place with guitars and the mouth. But I have written some software and I am working still on some hardware and I promise I will not just sit behind a laptop, at least. And Belvedere's is a pretty cool spot, in Lawrenceville. Come if you want. Unlike the incessant Sick Ridiculous shows, this may be the only chance to see this project live, like, ever. 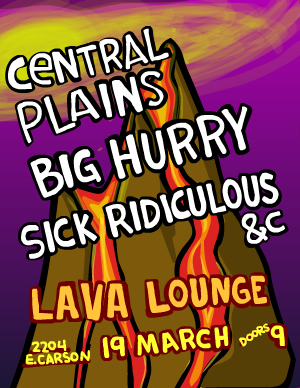 We're playing the Lava Lounge tonight, continuing our intraneighborhood South Side tour with Central Plains and Big Hurry. We found out after writing this song last year that there's also a band called Airborne Toxic Event; don't be confused! The phrase of course comes from DeLillo's fine specimen White Noise. I like this song a lot but we haven't recorded it yet, so live or live video or live mp3 is the only way. The Tom 7 Entertainment System show at Belvedere's on March 27 is now confirmed. I'm playing with some noise-chiptune dudes "Bit Mummy", "X-Buster" and "William Sides Atari Party" from Chicago. I'm pretty much ready to go on this but there are a number of things I've dreamed of that could make the performance sweeter, and so I want to do some hacking to that end. Also I said I'd make a poster, though this one is nicely nostalgic. SIGBOVIK is coming up rapidly, and I want to have a couple of papers/projects in this. I have one that's about half done now, and that I can probably finish in tomorrow's Program Committee meeting. If you have good ideas or papers rejected from seriouser/lesser conferences, acceptance is guaranteed for this peer-reviewed publication venue. I think in two weeks I will be done paying off my student loans. I ordered a new guitar as a premature celebration. This weekend was Open House for visiting prospective graduate students for Computer Science at CMU. I graduated like a year ago but I am still interested in perpetuating the program and helping young people make positive life decisions, so Nels and I played a Rock & Roll Techno show at the unofficial open house weekend house party. As is our contractual obligation, we wrote a new tune for the occasion. 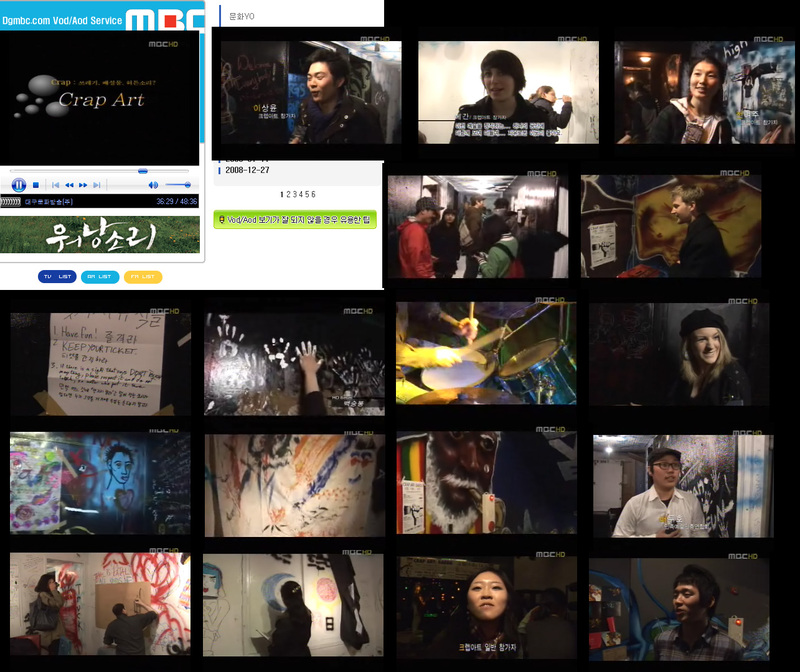 It is openho~1.mid. Because it is apropos many of the cleverness in the lyrics might not be apparent, but how could you not like the 7/4 beats and my sweaty freeform dance paroxysm? There is also an mp3 of the whole show which is very overdrive in the techno songs but sounds pretty good in the guitar parts.